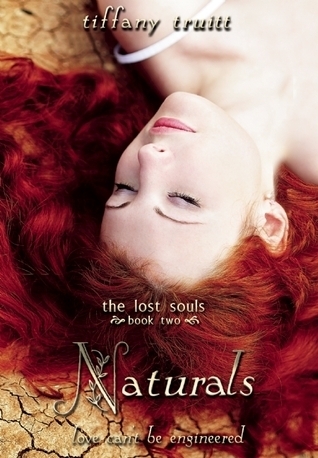 Naturals is the second book in Tiffany Truitt's The Lost Souls series. In book one, The Chosen Ones, we see Tess sentenced to death by the Council after she discovered she can reproduce. She is rescued by Robert, Henry and James, with the help of some naturals from an isolation camp in the midlands. In a world where natural humans are dying out, one who can reproduce is extremely important. But James can't go all the way, he has to go back to Templeton and Tess fears she'll never see him again. Travelling through the midlands to the camp in dangerous and they are attacked a couple of times along the way by Abnorms, like Chosen Ones, but not made with the same care. When they reach the isolationist camp they aren't treated very well by the naturals there. They all hate Chosen Ones and look down on Tess for having a relationship with one, and Henry by association. But eventually, things get a bit better and Tess finds a brilliant friend in Lockwood. Until James arrives and saves Tess's life, leaving Tess having to fight for his. Throughout the book, Tess constantly plans to go back for her sister, and only remaining family, Louisa. Eventually, her hand is forced when a threat comes from George, a violent Chosen One that we met in book one, that he has Louisa, and is willing to make a trade. This book was just as good as The Chosen Ones and I really enjoyed it. There's some new characters introduced, McNair who is tough and serious, Eric, who is like McNairs right hand man and also a tough guy, they are both nice to Tess and try to help her. My favourite character is Lockwood, he is awesome, funny and sarcastic, apparently thought to be weak within the community but when it comes to Tess, he wasn't afraid to stand up for her and do what needed to be done. 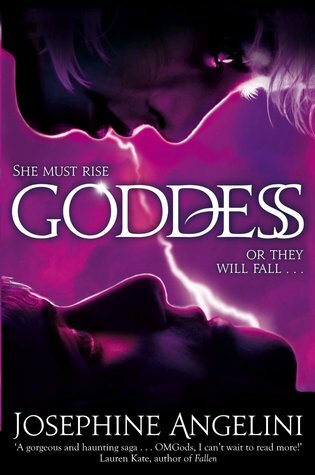 Tess's character really grows in this book and she learns to stand up against authority for what she believes in. I wasn't overfond of Henry in the first book and I can't say I warmed towards him much in this book either. But he wants to be with Tess and will try to keep her safe any way he can. I loved James just as much in this one, and he showed just how much he really loves Tess. The ending was surprising and completely unexpected. While this book didn't have much by way of action, it was still really interesting to see how things work in the isolation camps and what kind of people are there. I feel the next book is where it will all come to an end, as George plans to bring down the Council. I can't wait!! As part of the tour, the publishers are giving away 3 paperback copies of Naturals. If the rafflectopter giveaway doesn't show, please click the link to enter. About Tiffany Truitt: Tiffany Truitt was born in Peoria, Illinois. A self-proclaimed Navy brat, Tiffany spent most of her childhood living in Virginia, but don’t call her a Southerner. She also spent a few years living in Cuba. Since her time on the island of one McDonalds and Banana Rats (don’t ask), she has been obsessed with traveling. Tiffany recently added China to her list of travels (hello inspiration for a new book). Tiffany began teaching middle school in 2006. Her students introduced her to the wide, wonderful world of Young Adult literature. Today, Tiffany embraces popular Young Adult literature and uses it in her classroom. Tiffany is proud to call herself an educator and Young Adult author. Oh, I love it when a second book lives up to all the expectations! Character growth is super important and I'm glad you felt that Tess was changing for the better. I'll have to pick up Chosen Ones soon. Didn't the first book have something to do with music? I am glad that the second book is just as good. I am having a hard time with second books flopping as of late. Have a wonderful weekend, Suzanne! Good to hear Tess has grown and this one was as good as the first. I still haven't read it but want to eventually. I haven't really heard about this series but I like that the MC seems to be growing and standing up for herself. Great review, Suzanne.